Happy National Running Day! Since I’m a rule follower, here’s my contribution to National Running Day’s “I run…” campaign. Because it lets me eat like this. Because I seem like the calm one when standing with a group of anxious runners before the start of a race. Because I no longer feel safe on yoga retreats. Because I really really really really really love ice cream. Because I’ve got great friends to run with, and they have no choice but to listen to everything I say the entire time. Because I can obsess over my race times being posted on the internet. Because it gives me something to blog about. Have a great national running day everybody! 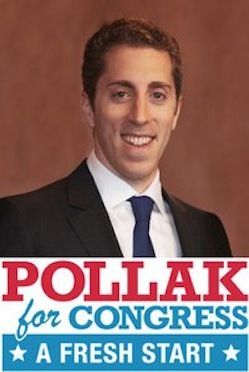 Vote Pollak! This entry was posted in Fitness, Uncategorized, Yoga and tagged fitness, Health, Running, yoga by Rob Pollak. Bookmark the permalink.